One of the many things you can do in Bicol and one that is highly recommended is the Mayon Volcano Tour in an All-Terrain Vehicle or ATV. Mayon Volcano is the most active volcano in our country but it is also one of the most beautiful, popular for its perfect cone shape. Bicol, Albay in particular, is our mom's province. Although she didn't grow up there, our grandmother did. You can say that we have roots in Bicol so this was some sort of a homecoming for all of us. This trip is one of our mom's wishes granted, to see her mom's province once more. Her last visit was so long ago she has little recollection of it. And for us, this trip is one to tick off our own bucket list - to see the majestic Mayon Volcano. August is the wettest month in our country and although it didn't rain much while we were in Bicol, it was always cloudy even early in the morning. They said the best time to see Mayon Volcano is in the morning at sunrise, between 6 to 8 am. However not always guaranteed, it is ideal and preferably when it is clear and the weather is good. The photo above was taken by my good friend and famous blogger Doc Gelo when he visited Bicol last November. Beautiful, isn't it? 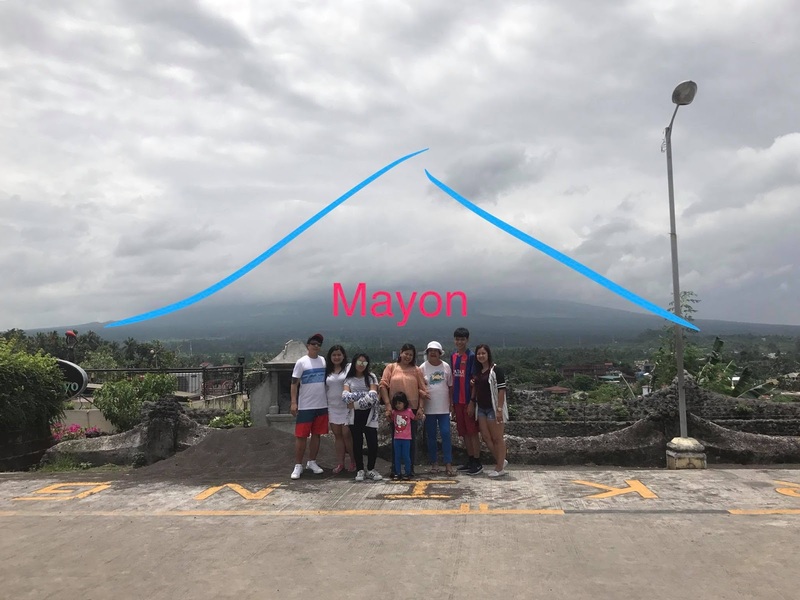 So did we see Mayon Volcano? Unfortunately, we didn't. It was all covered with clouds throughout our stay. Instead of getting disappointed, we focused on other places worth seeing and things worth doing while in Bicol and we were surprised at how much fun we had. We rented a 15-seater van which my brother-in-law and my husband drove alternately. Travel time is more or less 12 hours per route. Quite a long journey but if you love long drives, it shouldn't be a problem. My sister and her family started their journey from their place in Pampanga. They went to pick up mom and the rest of us on the way. Then we drove all the way to Lucena in Quezon for a short visit and dinner at a friends house before heading to our final destination. The road to Bicol is a treacherous route, seasoned travelers are used to it but quite scary for first timers like us. It is a two-way road with barely any lights in most parts and with many huge trucks and buses traveling at night. On our way back, I didn't pay much attention to the route we took. 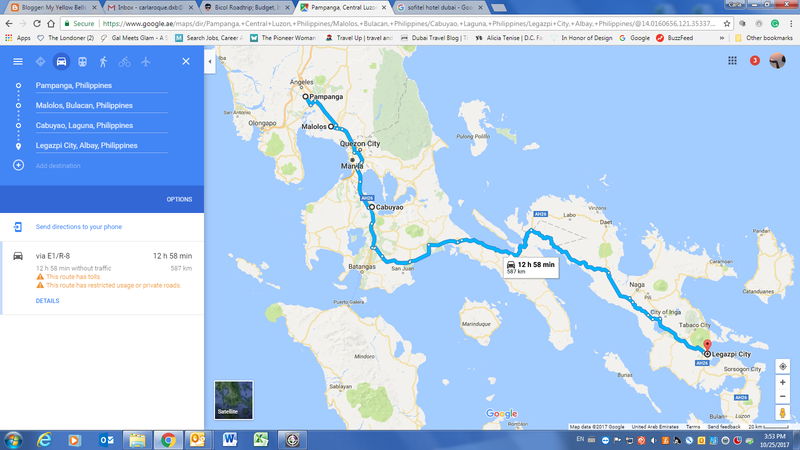 I put on the google map and let my brother-in-law and Ferald drove us back home to Bulacan. The only thing I dread the most was the part where we had to pass some sharp curves in a winding road on the side of the mountain (bitukang manok) for a shorter route. Other than that, I only checked the map once in a while as I try to stay up and awake to accompany them the whole time. We didn't book a hotel in advance. It was an off-peak season (it was in August) and the rates were low. My siblings were sure we would get a room at a good price at that time of the year. 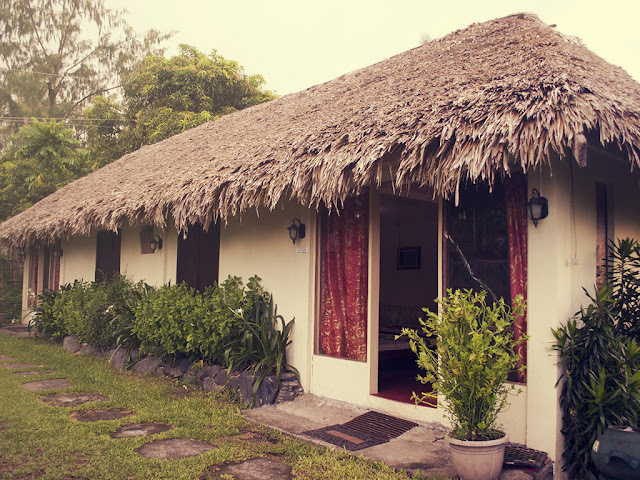 We stayed in an air-conditioned family room - Kubo style (nipa hut) at Patio De Cagsawa-a vacation suite/garden resort just beside the Cagsawa Ruins Park. Check in was quick and casual, nothing fancy. The family room was big enough to accommodate us all, there were 13 of us including the kids. It has seven wooden double beds with comfortable mattresses. The room is equipt with an old-style TV, two small tables, and 2 electric fans. The ensuite toilet and bath were clean with a functioning water heater. Clean towels and toiletries were also provided. They have an adult swimming pool and kids pool too. They also allowed us to park the van in the compound right outside our room. This is basically a list of the things we did in Bicol. Bicol is big, consist of 6 provinces hence the term Bicolandia. Three days is nothing if you want to see all of Bicol. I think I would need at least a week in we decide to come back one day. After a long night on the road, we arrived in Naga at 6:22 am. Our first stop was Nuestra Señora De Peña De Francia Church. The morning mass just ended. We waited until all parishioners emptied the church before we went inside. We prayed and thanked God for a safe journey. Mom got a bit of emotional having to set foot in her mother's province again. She lost her mom when she was 18 so she's got mixed emotions. I guess she was overwhelmed but I was happy that she made it this far and it made her happy to be in this place. From Naga, it was another three-hour drive to Albay. We had breakfast first and then we're back on the road. Beautiful scenery of mountains, vast rice fields, rivers, and laidback country living. It was amazing. Coming from a city like Dubai (UAE) and living here for the last 15 years, we only see so much of greenery once a year, so imagine our excitement. 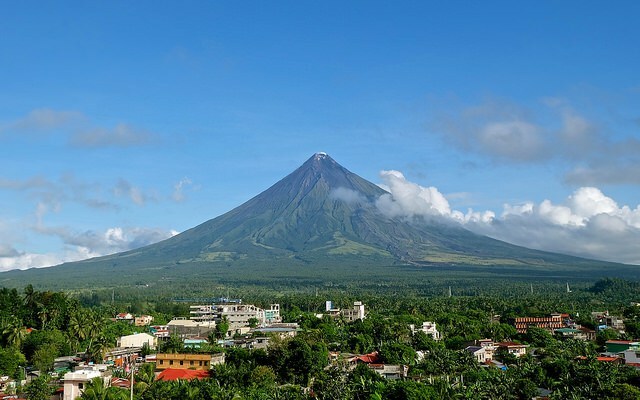 If you must know, there are five distinct mountains in Bicol region, one of it is Mt. Iriga in the city of Iriga. It can easily be mistaken (which we have and we thought we were close) as Mayon Volcano but don't be fooled, you will only spot Mayon Volcano once you reached somewhere around Polanqui. Mt. Iriga is nothing compared to the size of Mayon Volcano. We arrived in Cagsawa Ruins Park at 11:37 am. When we saw that there is no chance to see the Mayon Volcano because it was really cloudy, we excitedly explored the park instead. When you are this far away from home, there is no room to cry over spilled milk. Here are some of the photos we've taken while checking out the ruins of this 16th-century church. For lunch, my brother ordered some bulalo soup and laing at the carinderia inside the park and we ate it together with our packed lunch. When lunch was over, we went to search for our home for the night. We were offered a huge family room at Patio De Cagsawa located just right next to the park itself. We checked in, cleaned up, take some rest and prepared for dinner. Dinner was at Rockport Cottage at Legazpi Baywalk. 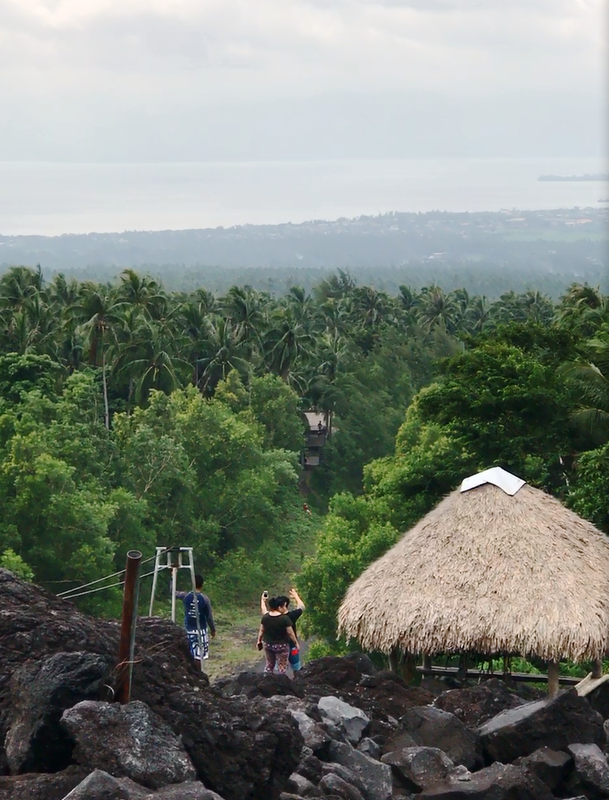 People from Cagsawa feared another eruption of Mayon Volcano hence they established a settlement in Daraga. They requested permission from the Spanish government to establish a new community and church south of Cagsawa.Their request was granted and the present day church of Daraga was built. We aren't an adventurous family if we will not try the ATV Adventure at 2006 Black Lava Trail. It is an activity you never want to miss when you are in Bicol. Kuya Jonathan, my sister's husband, managed to get us a good deal for this activity using his good looks and haggling skills. Well, mainly the haggling skills because our contact person is male. 2006 Black Lava Trail is a three-hour ATV adventure over 21 kilometers of solidified lava, back and forth from our hotel passing thru Cagsawa trail, barangays Budiao, Matnog and Mabinit to the Lava Wall and back. I guarantee you this is a super fun and exhilarating activity. Worth all your bucks. Bicolandia Outdoors Adventure Co. is right next to our hotel and they were the ones responsible for this unforgettable experience. We woke up at 5:30 am, had breakfast and we were on our ATVs ready to go. I have loads of photos of this fun activity thus it deserves a separate post here. Here are just a few of our photos. Anywhere you go in the Philippines, there is a zip line. We did it the first time in Palawan and then the second was in Batangas. There's also one here at the Lava wall and my mom and brother did it. It would be difficult for mom to descend from the lava wall so instead of helping her come down one rock at a time, she chose to go down in style. Now you know where I got my adventurous and thrill seeker attitude. And she's 68 by the way. While on the road in search of a place to eat lunch, we saw Lets Pinangat. It was full of diners so we are sure the food they serve is good. We parked our van and troop to the restaurant. Bicol is famous for its spicy and rich in coconut milk dishes however my culinary knowledge of Bicolano food is limited to Laing (taro leaves and pork simmered in coconut milk) and Bicol express (pork meat with loads of green and red chili simmered in coconut milk). We also tried Pinangat, the main ingredient of this dish are taro leaves and crabmeat, it can also be pork or shrimp inside. And of course, it is simmered in coconut cream/milk. Unlike Laing where taro leaves are shredded, the taro leaves in pinangat are kept whole and used as a wrapper for the crabmeat filling bound and tied using young coconut leaves before being simmered in coconut milk. After a sumptuous lunch of Bicolano dishes, it was time to go home. We bought jars and packets of salted and honey roasted Pili nuts, a must when you are in Bicol. Best for pasalubong or snack on the road. Coconut is one of Bicol regions primary agricultural products together with rice and corn hence it is evident in their cuisine. Coconut juice is very refreshing and the meat is also nice. Make sure to stop for some coconuts in any shack you'll find along the high way. Other dishes to try in Bicol is their pancit bato (stirfry noodles), sinapot (fried plantain banana), and the sili flavored ice cream. So that's about it guys. The sights, the sounds, and tastes of Bicol. I want to visit again but when it will be, I am not sure. 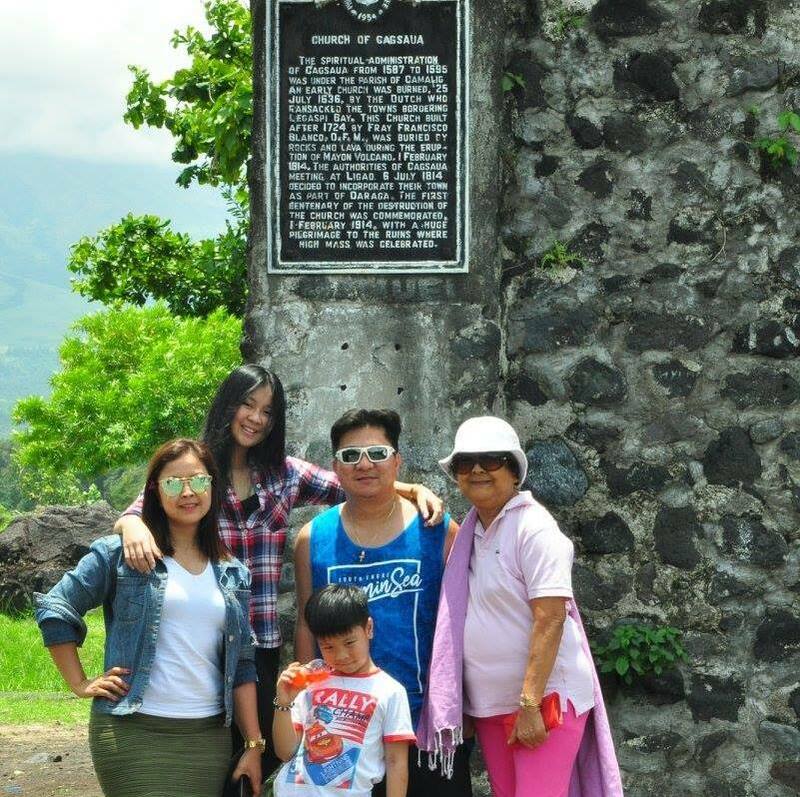 One thing I am sure of is that we had a great time in Bicol. Carla is a lifestyle blogger based in Dubai who's thankful to call this ever-evolving city her second home. The pages of this blog are filled with stories about her and her family's expat life in the sandpit. It mostly features dining and travel adventures in and around the city and beyond. It also features food recipes, parenting tips, and her own fashion style. My Yellow Bells 2018. Powered by Blogger.